Uluwatu Temple on the cliff edge is located on Pecatu Village, Bali. It is popular for its wonderful Indian Ocean views and traditional Fire Kecak Dance. 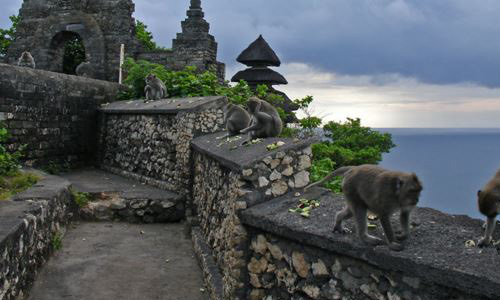 The temple location on the rock cliff edge boost the wonderful views of Indian Ocean. It is located on the edge of Uluwatu Cliff. It is approximately 97 meters above the sea level. The views from above is over looking to the west. So it has wonderful sunset during the evening. Uluwatu Temple Bali On The Cliff Edge History. The Uluwatu Temple built by Mpu Kuturan. Mpu Kuturan built the Temple between years of 1032 and finish on years 1036 (944 – 948 Caka Years). It has built during the era of King Sri Hajiwarakarta. Mpu Kuturan is a great priest and teaching the local people about the social system in the village. Hundreds year later on year of 1550 there is a Priest from Java that doing spiritual journey to Bali. His name is Dang Hyang Nirartha. He started his journey in Bali by making Tanah Lot Temple in Tabanan Regency. He was doing his journey by following the western side beach coast from Tanah Lot area. Then he went to the South and ended up in Pecatu Village. In Uluwatu Temple, he passed away in the highest state of die which called “Moksa” in Hindu. The journey story of Dang Hyang Nirartha has made a strong bond between Uluwatu Temple and Tanah Lot Temple. Uluwatu Temple Bali As Tourist Site And Destination. The Temple has spiritual background . It made Uluwatu Temple as one of the most popular tourist destination in Island of God. The government and local people has built the sites to be very attractive tourist site. There is Kecak and Fire Dance performance every day at 6 – 7 pm during the sunset time. The stage of performance is heading to the west. So the tourist may enjoy the sunset view while watching the dance. Kecak and Fire Dance is one of the most popular traditional dance in Bali. The Kecak and Fire Dance itself taken from Ramayana Story which is one of the most popular legend in Hindu. The Ramayana story is about love story of Rama King and Queen Shinta. Queen Shinta kidnapped by Evil King Rahwana. Rama King his monkey soldier taken down Rahwana King. Due to the point above a lot of Bali Tour Itinerary will consist of this sites. 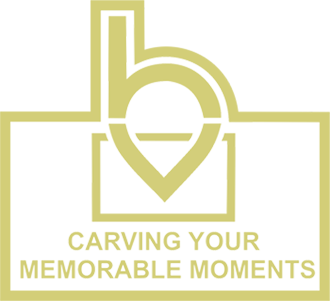 If you want to visit this site, you may contact Bagus Tour Service that provide Bali Private Tour. You can get a very good Bali tour deals and visit the site with our Bali tour driver.